I‘m back in my kitchen this week… back from making pies with you up and down the east coast… back from gently and not so gently asking you to buy my dang book… back to my roasting pan. This acorn squash was patiently awaiting my return. Just sitting tight, waiting to be more than it already is. I hacked my way through the protective skin (didn’t even lose a finger), removed the seeds, sliced, and drizzled. This is the result of those efforts. Let’s make it together… I mean, right!? Acorn squash has a lovely orange flesh and an alluring savory sweet quality. It feels like the perfect match for tingly curry powder and garam masala. Drizzle and toss. It tastes better if you use your favorite roasting pan. Trust me. Roasted vegetables are enhanced by bright and fresh ingredients. Think: fresh parsley, pomegranate seeds, tangy greek yogurt. 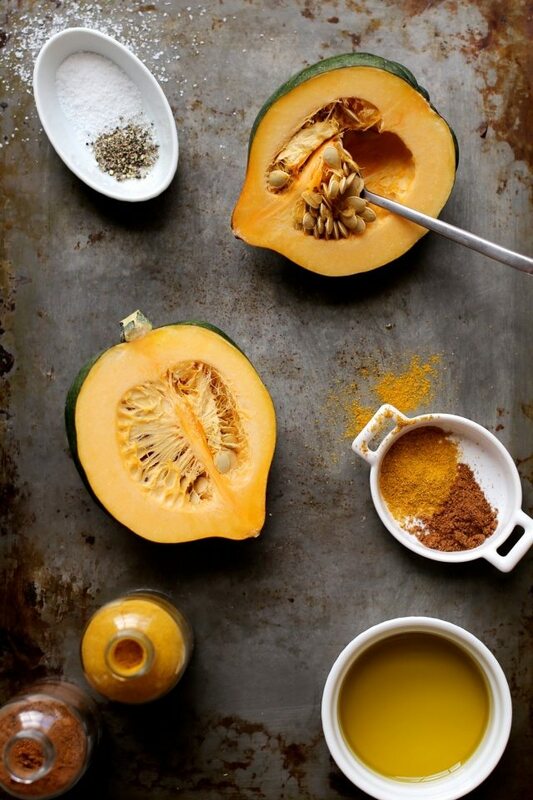 The warm base flavors of squash are elevated by the brightness. It’s balance. We’re doing it. Place a rack in the upper third of the oven and preheat oven to 375 degrees F.
Place sliced squash on a baking sheet in a single layer. Generously drizzle with olive oil, curry powder, salt and pepper. Toss to coat. Roast until tender and browned, about 25 minutes depending on the thickness of your slices. 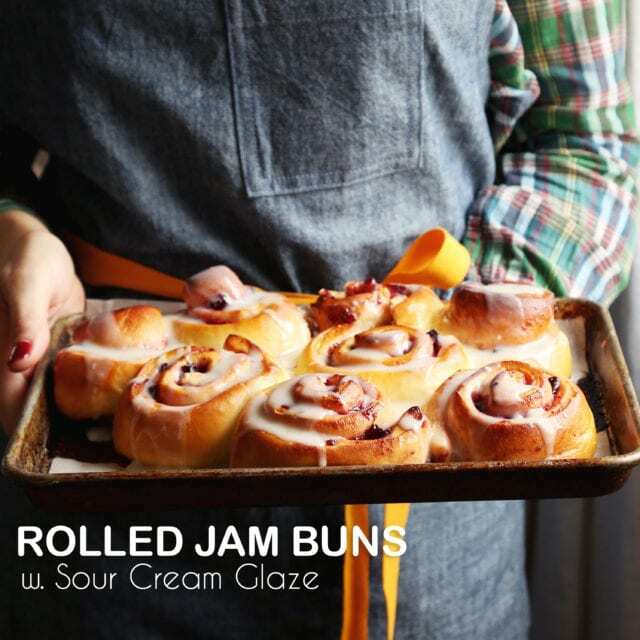 Remove from the oven and serve warm with chopped parsley, plain yogurt, and pomegranate seeds. This would be a great recipe to have to spice up my lunches. I might make this next week to pair with some brown rice and chicken! Have you tried Heidi Swanson’s miso-curry delicata squash yet? http://www.nourishtheroots.com/2011/11/miso-curry-delicata-and-butternut.html. Made it for dinner 4 nights in a row and loved it every time. Also switched out cauliflower for the potatoes, and it was still awesome. Thanks for another squash idea! Can’t get enough right now. Also, I really love your new heading. The watercolor is beautiful. That’s all. I’m a reluctant acorn squash eater but I LOVE curry so I will definitely try this since I have an acorn squash sitting on the counter (gotten from our CSA share). Thanks for making me try something different!! Do you eat the skin? Never tried acorn squash before but I love me some curry powder and garam masala. I think the curry and masala powders would add such a perfect touch! It also looks so pretty with the pomegranate and yogurt :) Do you eat the skin of the squash? Oh wow!! Such cool ingredients in here. And I love the pomegranates thrown on top. Perfection! yum!! this must be delicious! I’ve never tried acorn squash, I always go for spaghetti! But this looks amazing so I might need to branch out and try the acorn squash next time! Love the curry, so good!